At the time I was first considering a coffee shop, I was reasonably unhappy with my real estate career. If you missed it, I wrote about what was making me unhappy with real estate on the Phoenix Area Real Estate Blog last August. It was in May of 2009, however, that the notion of creating a coffee shop began to seriously take hold. via The story of Echo Coffee | My Side Door. 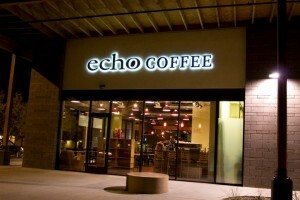 Echo Coffee is a new shop in Scottsdale and, by pure coincidence, is the setting for a future episode of the podcast. Give this a read!